A workaround that actually works! The Nintendo Switch is missing one feature commonly found on many electronic devices: a web browser. 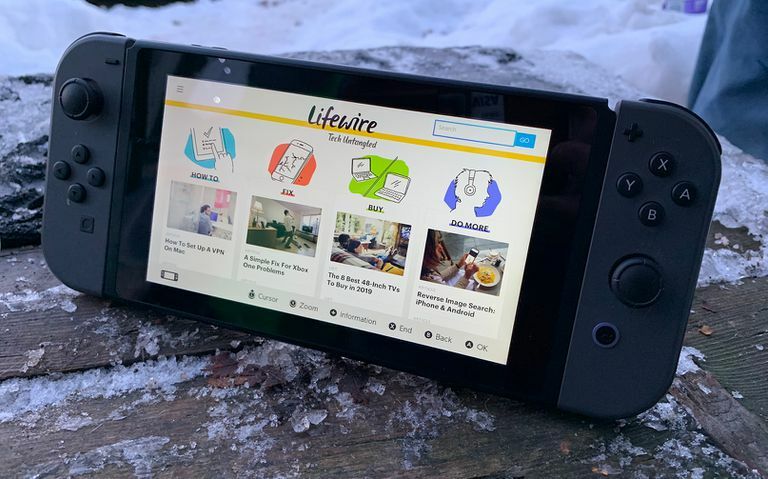 Surprisingly, the Switch does use a NetFront Browser NX browser, much like the Nintendo 3DSXL, but it's somewhat hidden, and users must know the right tricks to access it. It's not very challenging, but does require tweaking some settings. Read on to learn how to access and use the Nintendo Switch web browser. Select System Settings from the Nintendo Switch dashboard. Select your current Wi-Fi connection to access its information page. Set the Primary DNS to "045.055.142.122." This will connect you to the SwitchBru DNS page. Wait roughly eight seconds to be redirected to Google. If nothing happens after eight seconds, select News from the Switch dashboard, then select Find Channels. From here you should be able to use the Nintendo Switch web browser, particularly for Google Search. Using this method sets up a DNS proxy, which tricks your Nintendo Switch into thinking it needs a Public Wi-fi Access point to connect to the internet. The SwitchBru DNS serves as that proxy, allowing you to bypass login information to access public Wi-Fi. Even though the browser works, not all web pages may load as normal. Pages with videos may not load and some may simply display a "page cannot be displayed" error. The easiest thing to do with this web browser is access Google search. When you're done using the Switch's browser, simply Press the back button on your Nintendo Switch until you reach the DNS Settings page. From there, change the DNS setting from Manual to Automatic.